Finding a flattering, classy outfit for a formal occasion is hard enough without having to throw color-coordinating into it! 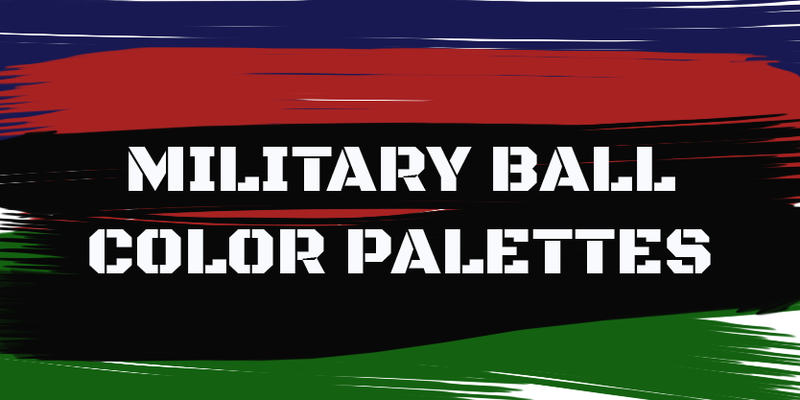 Take some stress out of your formal shopping by using these color palettes coordinated for each branch’s dress uniform. 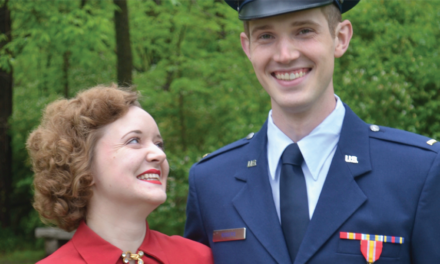 (You may need to adjust depending on which dress uniform the occasion calls for, but this will get you started!) These work well for picking out formal gowns to go with a man’s uniform as well as ties and pocket squares to coordinate with hers. 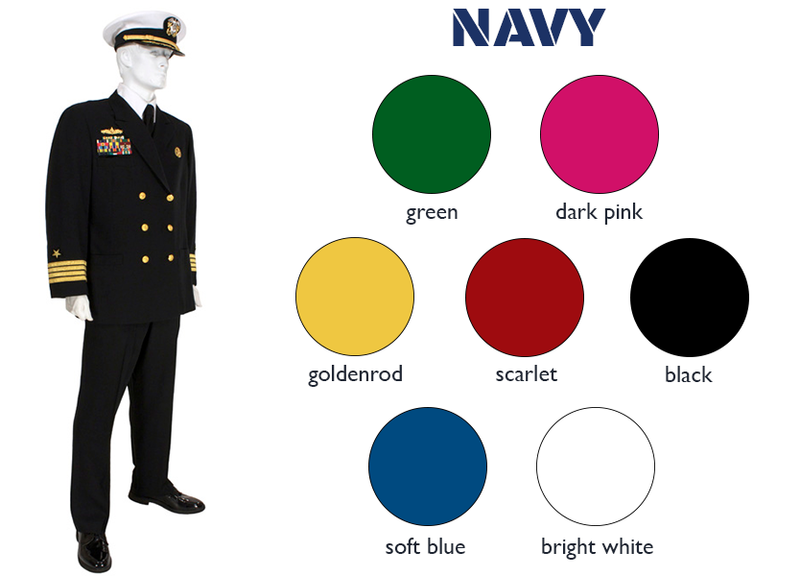 Be careful if you choose a main uniform color like navy or black. 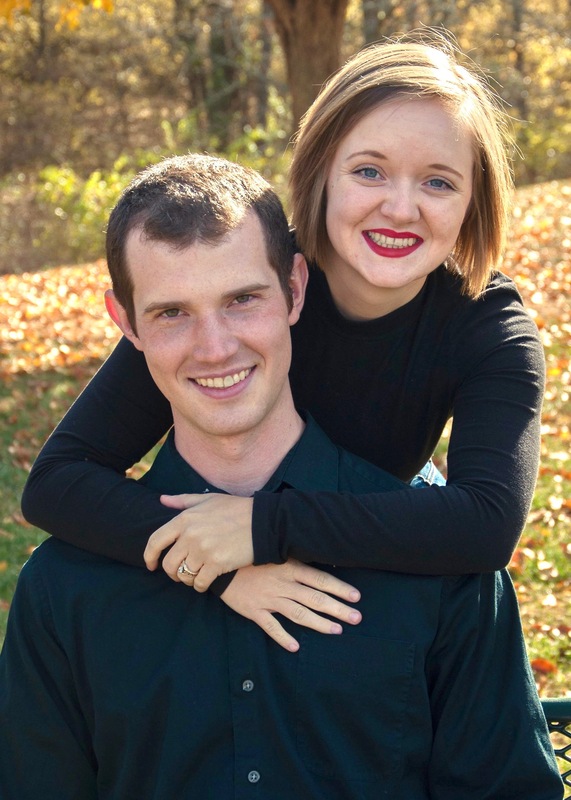 If you take photos, the two of you may blend into one dark mass of color. Picking a contrasting color, different texture or even patterned garment can help break it up. Take a piece of your date’s uniform with you to match. 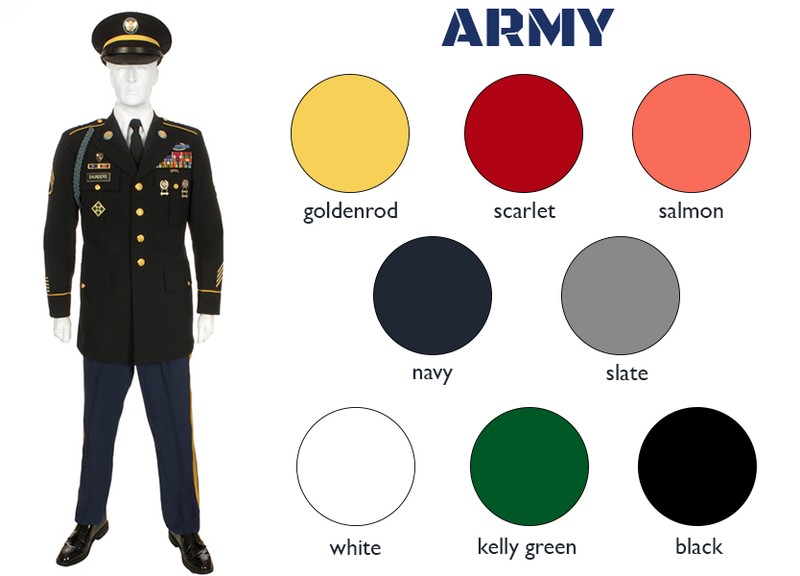 Particularly if you’re going for a main uniform color, try to find clothing that matches the same color really well. If you can’t quite find a match, pick a fabric with a different sheen or texture than the uniform (like something lacey, sheer or satiny) to minimize it. Don’t be limited by just navy and black. Look at the colors of your date’s ribbons for more inspiration. Contrasting colors are also an option. 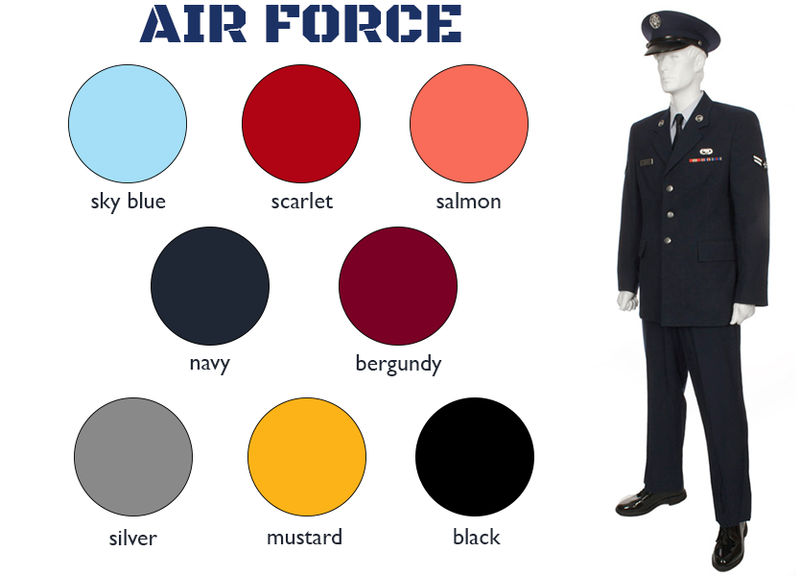 Particularly if the uniform involves navy, orange-ish shades (like salmon or rust) on the opposite side of the color wheel from blue can look good, too. (Dress advice) Pick a pattern. Patterned dresses can also be really classy, particularly for daytime events. You can fudge a bit on the colors as long as the overall “feel” of the dress works with the uniform. Avoid off-white shades. 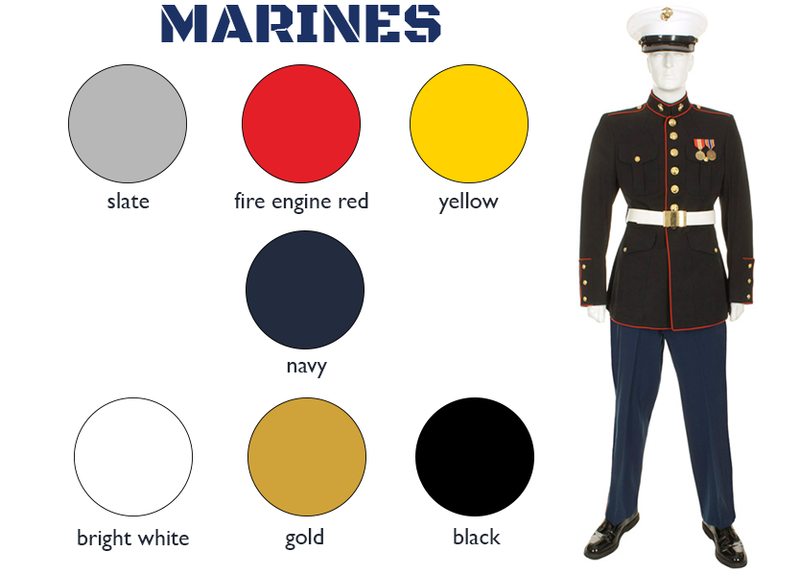 Most military dress uniforms have bright white somewhere, and an off-white garment next to it will just look dingy. MOST IMPORTANTLY: Be confident! Choose colors you feel attractive in. If you love a color that I haven’t included in here or want to ignore one of these tips, do what you do. The absolutely most important fashion tip of all time is to wear things with confidence! 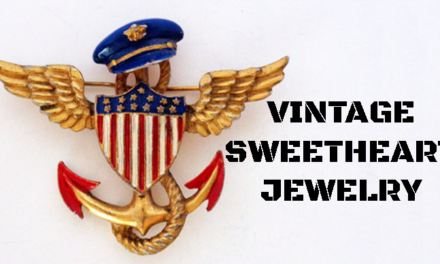 What colors have you worn for military balls or other formal occasions? Are there any color picks you discovered that worked really well? Do you have any other color recommendations?